Welcome to Blue Buzz Music! Pulselocker used to be a subscription service that let DJs all around the world download high-quality tracks to use during their DJ gigs and sets. And all of a sudden it shut down! A lot of DJs who’s been using it had to find something to replace it. Well, in this article we’ll talk about whether there are any viable Pulselocker alternatives that are currently available on the market. Pulselocker Alternatives – Are There Any? This may sound ridiculous, but since Pulselocker shut down back in November 2017, nothing similar has been released. The idea was there, and it was brilliant. The only problem was the execution. Pulselocker developers didn’t manage to build the supply chain correctly, and that’s destroyed them. A lot of big DJ software companies such as Serato DJ and Rekordbox believed in the idea of streaming music and paying royalties to the artists and labels, so they’ve integrated Pulselocker into their software, but this didn’t save the DJ streaming service. As of now, there aren’t any Pulselocker alternatives that are worth mentioning. On the bright side, Beatport has signed the acquisition of Pulselocker in November of 2017. It will still take a vast deal of time and effort to implement all the changes and integrations planned by Beatport, but it’s undoubtedly worth the wait. As an authority name in the music industry, you can surely rely on Beatport to release something truly revolutionary. For those DJs and producers who are not in the loop, we’ll quickly go over the history of Pulselocker as a company and streaming service. Over the years, people loved it and hated it. It was a fantastic concept which wasn’t executed properly. As announced by many music news sources such as Vitamin Hertz, Pulselocker launched on the 13th of November. It was different from other streaming services such as Spotify (do you need Spotify promotion?) and Rdio because the main focus was on DJs and playing music live. Primarily, you were able to store and manage your music, create playlists, organize your tracks, and a lot more. So far, there weren’t better equivalents to Pulselocker. 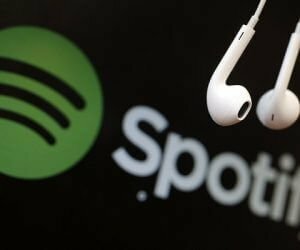 The CEO of Pulselocker Ryan Walsh mentioned that they were trying to stay away from being mainstream and “for everybody.” Spotify’s been dominating the market, so a better strategy was required. Then Pulselocker figured they should resonate with an audience, so they’ve picked DJs. The designed resembled iTunes at the moment, but you didn’t have to buy tracks one by one. As long as you pay the monthly fees, you’ll be able to stream any song you want and download it to listen to the track offline. These days it seems reasonable, but back when Pulselocker came with the idea, it was revolutionary. And you didn’t get a bunch of files you could’ve downloaded and sent to your friends, they’ve managed to “lock” the files, so they can only be used with the streaming service. And the best part that made DJs fall in love with it (some hated Pulselocker a lot too) is that it was supposed to be integrated with major DJ software services, such as Serato DJ, Rekordbox, Native Instruments Traktor, and more. Each of the DJ software for Mac and PC (do you know how to pick the best PC for music production?) had their own libraries, but they found it hard to compete with Pulselocker. Moreover, a lot of the DJ hardware users were asking the developers to integrate support with the unique DJ streaming service. As a result, the big dogs of the DJ industry have decided that it would be smarter to cooperate instead of fighting. Well, at least some of them. And the process wasn’t very smooth. Oh yeah, Pulselocker shut down their services and were almost out of business in 2015 before they landed a deal with Serato. One of the first most prominent integrations of Pulselocker was with Serato DJ. Serato executives announced that at ADE back in 2015. At the time, Pulselocker was its biggest competitor, so instead of fighting over users, they’ve decided to work together. The announcement was made live and via a lifestream. As the CEOs of Pulselocker and Serato have announced, they find the companionship appealing. Serato is a major DJ software company with a lot of influence in the industry. While everything was great, having a high-quality streaming service integrated within Serato DJ would’ve been innovational. On the other hand, Pulselocker was offering unlimited offline storage, almost infinite catalog of music from artists and producers all over the world, both signed and independent, for $20 a month. This seemed like heaven on Earth while it lasted. Honestly speaking, even then people disliked the fact that you couldn’t entirely edit the music from Pulselocker with Serato DJ. The files had a different format, so all you could do was edit everything and prepare for the set. The rest had to be done during the actual live performance, by using an external hardware recorder with your DJ mixer and controller. While DJs all over the world were waiting for Pulselocker Serato DJ 1.9 integration to be finalized, Pioneer Recordbox DJ wasn’t sleeping. In January 2016 Pioneer has announced the prospects of Pulselocker Rekordbox DJ integration. The company already had software called DJ, which needed more features to incentivise DJs to switch to their software. Once again, Pulselocker streaming service with over 44 million tracks and half a million labels seemed like a viable option to fight competition and attract customers. Both Pulselocker and DJ had 2 weeks trial, so users would’ve been able to test the streaming service and DJ software integration for free. Then things were quiet for a while. Finally, in June 2016 the Rekordbox DJ has announced its 4.1.2 version with Pulselocker’s streaming library integrated. Of course, it’s been a big day for both Pioneer and Pulselocker. Now Rekordbox DJ had a library sidebar if you were to switch to the “Performance” mode. DJs were able to use all the songs from Pulselocker catalog within Rekordbox DJ as much as they wanted. The coding was on point again, so there was no chance of someone downloading the tracks to a USB and using them with CDJ. The price of the premium plan stayed at $20 a month, which no one has really complained about. Not surprisingly, Pulselocker users had a few complaints. The biggest one was the insane number of remixes and covers. Moreover, they weren’t moderated heavily. Someone could call himself Drake, and you’d end up streaming his song instead of the Toronto rapper. Simply speaking, artists were abusing the system. On top of that, the developers didn’t bother to include the BPM, keys, or waveforms. According to tons of DJs, integration could’ve been a lot better. The developers missed way too many small details that were affecting everyday users. Fortunately or unfortunately to Traktor DJ users, Pulselocker Native Instrument Traktor integration’s never come to life. Looking back now, it seems that rather than missing out, Traktor DJ users have avoided all the hustle and stress of Pulselocker shutting down never to come back all of a sudden. To sum everything up, there has been a considerable debate on Native Instruments forums after Pulselocker has been integrated with Serato DJ and Rekordbox DJ. Traktor TJ users were a little upset they don’t get such feature and tried contacting the support and proposing the idea to the developers a million times. Native Instruments tend to take time with major updates and decisions, so it’s possible negotiations have taken place, but Pulselocker shut down before they came to a conclusion. he design was horrible. It was close to impossible to find the original track among cover and remixes. Yes, you could rearrange your music and create playlists. However, it didn’t even have mobile support. If you were on a bus and had nothing to do, you wouldn’t be able even to pull out the Pulselocker website, which is insane. Sometimes it felt like they were actually stuck back in 2012, exactly where they’ve started. In November 2017, Pulselocker shut down completely, without any prior warning. Users were angry, upset, and disappointed. Some had gigs and shows coming up on the weekend and were caught off guard. Others didn’t like the fact that no monthly payments were returned, even for those who paid the day before the shutdown. Overall, the negative impression that will surely haunt the developers if they ever decide to relaunch the project. In April 2018, a big announcement was made. Beatport has finished negotiating and finalized the acquisition of Pulselocker. Even though there is not much known just yet, it’s been said that Beatport liked the idea of “leasing” the music files to DJ software users, instead of making people buy each song. They’ve been working on a similar system for years, but haven’t released anything yet. The CEO of Beatport believes that Pulselocker will accelerate the process of developing another “revolutionary” streaming service for DJs. No timelines set, but Beatport will undoubtedly come up with a gem for all DJs out there. After 6 years of trying really hard to make a name in the industry and working with software developers like Serato DJ, Rekordbox DJ, and Traktor DJ Pulselocker had to shut down. Being both praised and hated on, Pulselocker will sure be remembered for years. For now, let’s hope that a major software developer will manage to put together the supply chain and come up with a similar to Pulselocker streaming service. For now, the best bet of every DJ is to use what they have for now and stay tuned to Beatport updates. Here is a great and honest review on Pulselocker, check it out!